What’s the big deal about Aldersgate? The big deal about Aldersgate is that it is a journey back to the future. Our tradition stresses a holiness that is both personal and social, but more importantly experiential. For a living faith to be passed on from generation to generation, the fire must be kept burning in our hearts. For us to be kept strangely warmed today and tomorrow, that tradition continues. Why be bothered about something that happened to an Englishman late one evening on a nondescript street in London almost three hundred years ago? Why do we have such traditions like Aldersgate? In order not to make this a purely Methodist conversation, I quote Orthodox Christian philosopher Jaroslav Pelikan: “Tradition is the living faith of the dead. Traditionalism is the dead faith of the living.” It would be naive for us to believe, Pelikan noted, that with just the Bible we can come up with such doctrines as the Holy Trinity. We are not entitled to such beliefs, he added, without acknowledging that we owe a great deal to those who worked out such things for us. These people have long gone to be with the Lord but because they championed those doctrines, our faith (theirs and ours) is alive today. To ignore such historical developments will lead us to repeat the sin of traditionalism. Religion in 18th century England had degenerated into formalism. It was the preserve of the privileged, whose reason for participation in church was to be seen, rather than out of a genuine relationship with God. The ordinary folks supported the social system through hard labour in various fields such as agriculture and industry and yet were marginalised when it came to church. It was in this social setting that Mr Wesley found himself so unsure as to where he stood with God. It seemed that no fellow Englishman could help him. God used the words of a German, read from his commentary almost two hundred years after his death, to make this Englishman feel that he did trust in Christ, Christ alone, for his salvation. Wesley had tapped into the living faith that Luther had earlier found in Scripture. 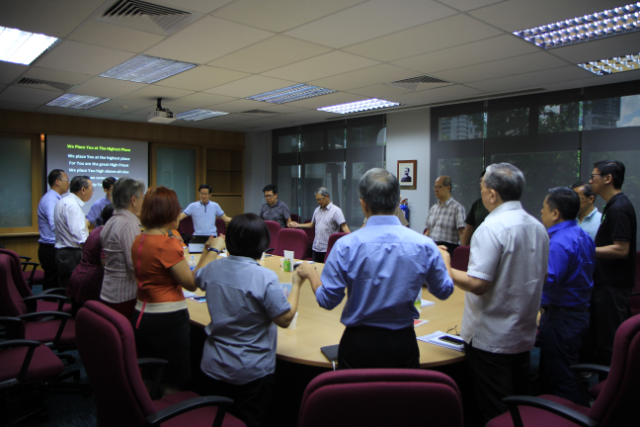 While Christianity is still vibrant in Singapore society, formalism is not far behind. 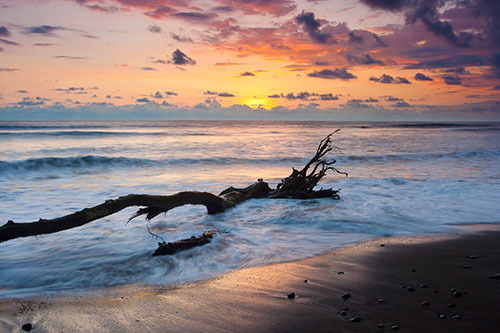 Dead faith can still float in the hot water of revival and renewal. Deadwood has no life, no matter how long it is soaked. It can only come to life through the miracle of regeneration. Being born again is no trivial matter. It is a miracle of Christianity repeated millions of times in the lives of those who believe in Jesus. Going back into the past is not necessarily a return to what is dead. In the case of Luther and Wesley, it saved them. Remembering Aldersgate is a celebration of a living, not just a historical, event. A church that has been around for more than a hundred years can easily slip into “churchianity”. We go on Sunday for a service, not worship. It is a weekend habit. Church becomes a socialising hub. The motivation in outreach to the less privileged in the community is by those who feel more blessed materially to help those who are not; no longer is it a mission compelled by the sacrificial love of God. 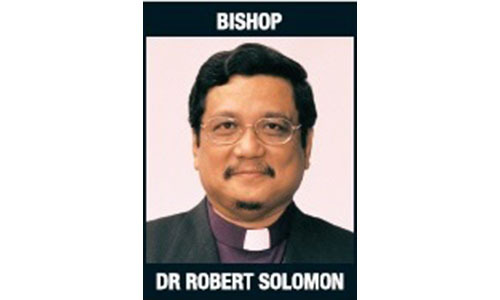 Church programmes are executed by paid professionals directed by lackadaisical church leaders. Preaching and teaching feeds what the general public wants to hear, rather than declaring the truth as directed by the Holy Spirit. When we acquire an attitude that “we don’t need that” (especially about traditions like Aldersgate), our living faith once dependent on God now relies purely on expertise we have acquired. We have cut off our roots. It is just a question of time before we find ourselves going back, but this time into traditionalism. 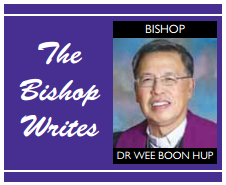 Bishop Dr Wee Boon Hup was elected Bishop of The Methodist Church in Singapore in 2012. He has been a Methodist pastor for 29 years.